REDMOND, Wash.–(BUSINESS WIRE)– Breakfast has always been the most important meal of the day. Now it’s a great meal for anyone who wants a chance to win a Nintendo Switch video game system. 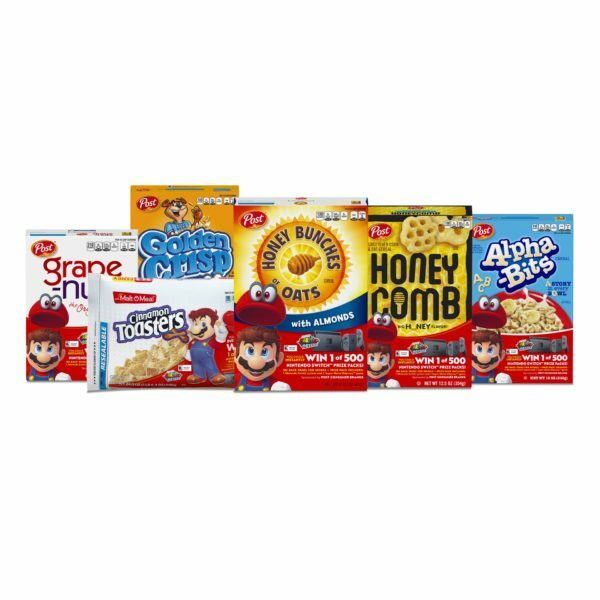 This fall, fans can enter codes found in specially marked packages of Post cereals for a chance to win one of 500 Nintendo Switch Prize Packs, consisting of a Nintendo Switch system and the Super Mario Odyssey game. For official rules and more information about the promotion, visit http://postconsumerbrands.com/nintendo. ** For more information about Nintendo Switch, visit http://www.nintendo.com/switch. For more information about Super Mario Odyssey, visit http://supermario.com.